Unfortunately I cannot find a copy of this that is viewable online but somehow I’ve got to get it to everyone. This is a well-executed and hilarious short film (22min.) by a guy, Jay Field, who worked in effects on some bad films like Alone in the Dark about a French boy who is born to an English family. They all think he has a disorder or is crazy since they don’t understand French or why he smokes and drinks at age 11. It’s so good. If anyone is really interested in seeing this I’ll mail it to anyone who requests a copy (within reason). Otherwise if somone else knows of the film and where it can be seen online, please share that info with everyone. Marshal sent me this article and I don’t even know how to put this: Scientologists have a building in Clearwater, FL (about 1.5 hours south of Orlando) that houses a program that gives its initiates super powers. Think it sounds too ridiculous for anyone to believe? Oh, they’re believing, and they’re paying, big time. It’s an upper-echelon program which supposedly cost much more than lesser programs, and other programs of its caliber can cost more than tens of thousands of dollars. According to the article, one of the guys who donated $5 million of the $90-some million to build this thing over the last several decades only got a “peek” at one of the facilities many programs. So this must be really expensive. 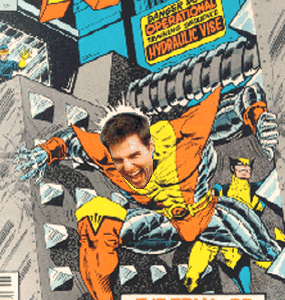 I was really hoping to find a photoshopped pic of Tom Cruise in the Danger Room but unfortunately I couldn’t and I’m too lazy to do it myself there are no good pics of it online to do it myself. Update: Thanks to Marshal for the great pic above. 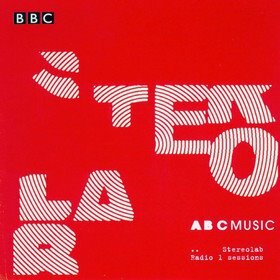 Completely stealing our idea without any credit to us as originators, Stereolab has made available a selection of mixes on their site. It’s okay though, we can forgive them since it’s like we get to participate in the listening habits of mighty Stereolab. We should ask them to join Our mix experiment. Ha. At least I can pretend that Laetitia Sadier is sending me her personal mixes. Anyways, there are 3 mixes up there now and you need Real Alternative to play them (a free and fantastic alternative to the craptacular Real Player). The music is completely appropriate and enjoyable. The Barbara Stanwyck picture Ladies They Talk About really made me want to go to prison. Granted they were in a women’s minimum security prison from the 1920’s but sitting around listening to the radio and reading did not look like too much of a punishment. What do I have to do to get into one of those joints? No financial responsibility (none that you can do much about) and free meals. I could catch up on all my reading. What a deal. completely but things are not cheery. This is really fun when you’re listening to music.